Wakesurf is a thrilling sport that requires no previous experience to enjoy. Wake surfing is suitable for individuals of all ages and athletic ability. 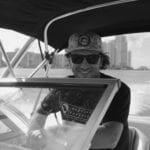 Less physically demanding than wakeboard and undertaken at slower speeds, wakesurf is fun, safe and equally rewarding. For decades surfers have travelled the planet in a constant quest for the endless wave… you only need to pick up the phone and drop in to wakesurf! Being close enough to speak to friends on the boat while riding, it’s the most sociable tow sport around. 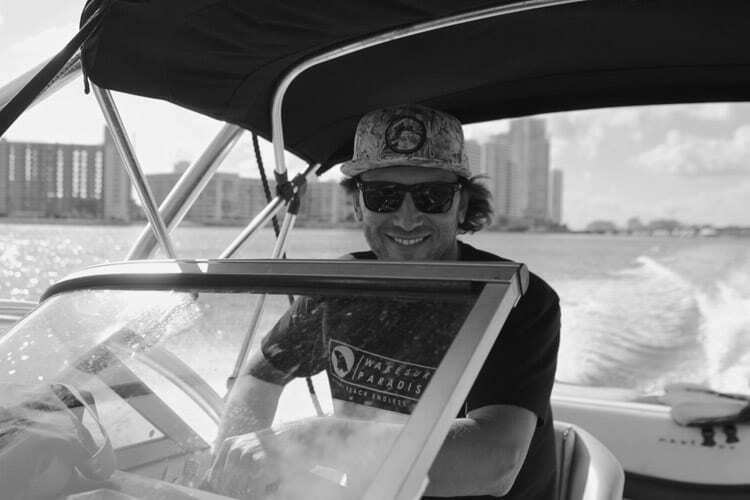 With expert instruction from the captain, and tips and advice from our enthusiastic team riders coaching you along, riders at Miami watersports Paradise enjoy rapid progress in their riding ability. Almost immediately those of average physical ability can stand up, riding the wave after a gentle and gradual pull. After getting comfortable being towed at 9-10mph, the rider then learns to anticipate board speed and balance, before the challenge of letting go of the rope… and freeriding the sweet spot! Within a very short period of time riders are comfortable on the endless wave and quickly start to learn basic tricks. For more accomplished riders looking to improve their tricks and skills, ask about our ‘Pro Rider Clinics’ with Professional World Champion Wakesurfers. The price is for the boat. You can be up to 6 people onboard. On average, in a 1 hour session, 3 people will have time to wake surf. If you wish to, you can also try Wakeboard, Waterski, or Tubing during your session, at no extra cost. Just let your Captain know before you leave the dock. This is a private Wakesurf session. You can also do Wakeboard, Waterski, or Tubing ( let your Captain know before you leave the dock). Exact meeting location will be confirmed the day before your reservation as we will pick you up where the best wind and waves conditions are on that day.